We know that Microsoft took over the Nokia’s Lumia branding and part of the deal was that Nokia would not be able to produce any new smartphones until 2016. Now the contract is about to end soon. Nokia’s CEO Rajeev Suri told that Nokia intends to design and license handsets from 2016. Nokia is very famous brand earlier, and already have a huge fan circle yet now. 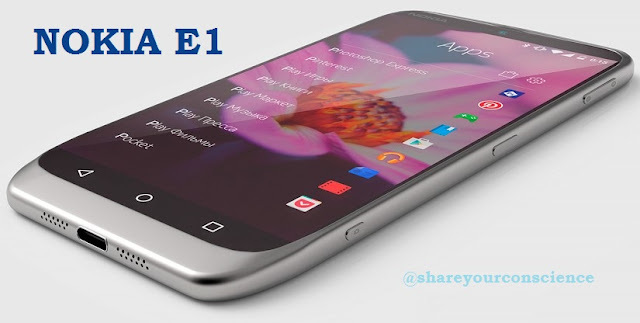 Nokia talked about Nokia E1, which expected to launch by march 2016. According to rumor Nokia E1 price will be under Rs 35,000. Nokia E1 will come with the following attractive features. Android 6.0 Marshmallow with Nokia’s Z launcher like N1 Tablet. We are quite excited about Nokia E1.